We have reserved a number of rooms for conference participants in several hotels which can be booked on a “first-come first-served“ basis for a special ILDS rate. Additional bookings can be made with the hotels and will be subject to hotel availability. Alternatively, please feel free to organize housing on your own via TripAdvisor, Booking, Airbnb, or other such services. Please be aware that October is a busy time in Prague, so we kindly ask you to make your reservation as soon as possible to secure a room. 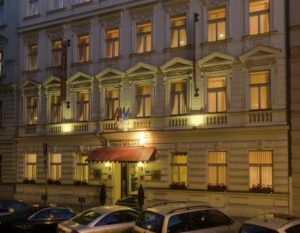 Budget hotel with simple rooms situated fifteen minutes by foot from the historical center in the fashionable Karlín district. Metro and tram station: Křižíkova (fifteen minutes by metro from the Dejvická station). 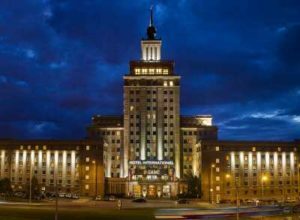 Masaryk Dormitory is a short walking distance from the conference venue and offers simple, reasonably-priced accommodation. 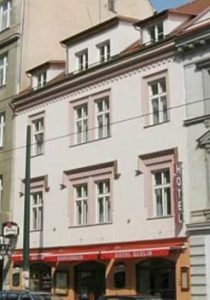 Affordable hotel in the district of Prague Karlín. Metro station: Florenc (fifteen minutes by metro from the Dejvická station). 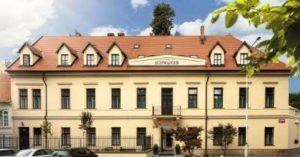 Family hotel located in a quiet street close to the Vltava River and within walking distance of all major touristic attractions in an original historic Prague building (it takes 20 minutes to arrive at Dejvická station by tram). Reservations using the promo code IFLA on the hotel’s website. Located in the Bubeneč district, considered one of the friendliest and calmest neighbourhoods in Prague, characterized by large residences with gardens. Historical sights are within a half-hour walk; the conference venue, within twenty minutes by foot; or you can use public transportation. A four-star hotel in an original historic building offering modern accommodation in the center of Prague (fifteen minutes by metro from the Dejvická station).